April 19th marks the 50th anniversary since Gordon E. Moore published his famous observation with an article published in Electronics magazine. 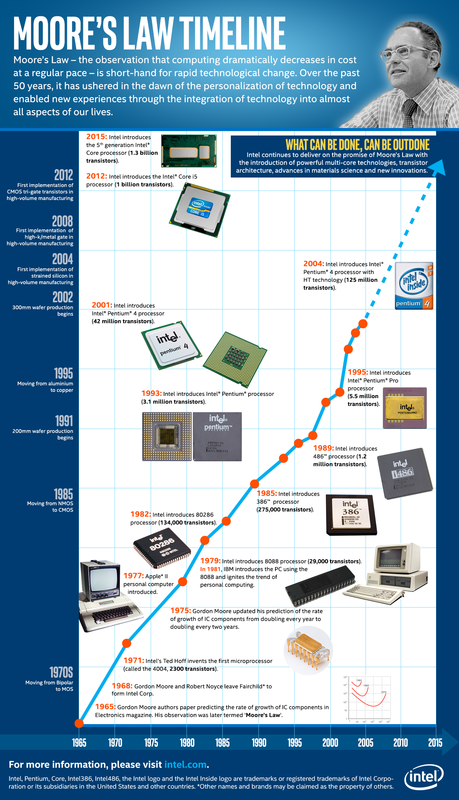 Today Intel leads the industry in celebrating the profound impact that Moore’s Law has had on our world. Moore’s Law has continued to drive staggeringly fast progress in computing technology to deliver unprecedented economic benefits and societal changes.